Running a successful nightclub isn’t easy. You have several different areas doing several different things, not to mention an array of staff members to account for. That’s why it’s more important than ever to stay connected, both from a personnel and an operations standpoint. When everything and everyone is connected, you’re able to run a productive, more profitable nightclub. Fortunately, it’s easier than ever to stay connected in today’s landscape, especially with efficient technology solutions. 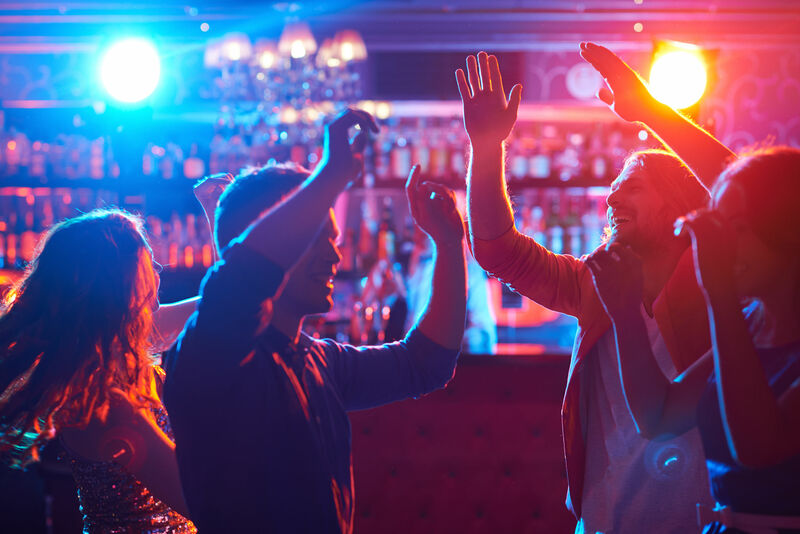 Here are 7 ways technology can improve your nightclub’s results. 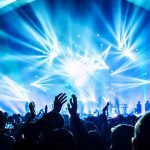 There are technology platforms out there specific to the nightclub industry that streamlines operations into one centralized spot. This solution increases efficiency across the board by aggregating information from multiple sources while also uncovering key statistics about your business. A goal of any business is to drive revenue and translate it to money in the bank. With a combination of pre-sales, upsales, and cross-sales, you’re able to not only drive revenue, but also increase the amount of revenue you’re already driving without adding any extra work to your daily operations. Using pen and paper or even email to manage reservations results in many errors, including double-booked tables. Instead, use a reservation management system that uses an interactive table map that displays reservations, guest information, and servers all in one window view. This streamlines your processes to make sure what’s getting marked down is true to what’s actually happening during the night, all while maximizing efficiency and accuracy. A robust customer relationship management (CRM) system that’s tied to your point of sale and integrated into your one main platform allows you to give your guests a great experience. With your CRM system, you’re able to better identify guests in line, upsell guests before they walk through your door, provide personalized service, and improve marketing efforts. After all, nobody, especially your VIP guests, wants to be treated like a number. Tracking and understanding guest data allows you to treat every guest as a valuable guest. Continuing on the integrated system bandwagon, this same system has the capability to provide individual logins to each member of your team for them to better manage their job functionality. Plus, depending on that person’s role in your club, you get to choose what they can and can’t access, helping to keep your data more secure. Giving staff access (even if it’s limited access) to a technology solution that combines information in one spot is an effective way to get everyone on the same page and working together. This interconnectivity between operations and employees is what makes your club a well-run, highly enjoyable, and highly profitable venue. A great party = an audience. And an audience = revenue generation. 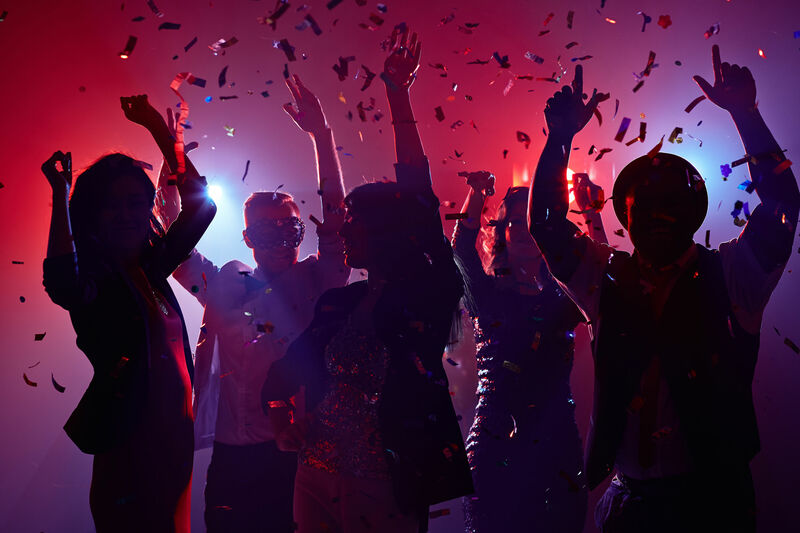 In just 9 steps, learn how to throw a good party for your guests while also generating profit. The people you are throwing the party for should define your business model. This means you need to know your customers inside and out. It’s not enough to have a basic understanding of only demographics. You need to discover their idea of a good party, the music they like to hear, the alcohol they like to drink, and even the servers they prefer. Work with a partner who can offer these valuable insights. What is your budget, and how much can you spend in each area of the event? Is this going to be an event tied to a holiday or time of year? How will you get the word out about this event? Once you answer these questions, you have a better way of moving forward. You know exactly how may promoters you need, what staff members are responsible for, how much money you can spend on talent, what type of talent you need to hire, if you can offer drink specials – the list goes on. Talent is a big portion of what lures people into your venue. But you need to make sure you hire the right talent. Do your guests prefer a headlining DJ or a local band? What type of lighting and sound equipment do you need to enhance the experience for your guests? Stay within your budget and plan for your audience to maximize profits and achieve your goal. When it comes to a good party, it’s the experience – not the deal – that attracts guests. It’s critical to understand what your customers will pay in return for a good party. Make sure you don’t sell yourself short and maximize your revenue when at all possible. People understand and have been programmed to pay top dollar for major events, within reason. Take note, not advantage, of these opportunities if you seek long-term success. You can’t spread the word until you’ve defined your audience. After all, it’s much easier to market and promote your party when you know exactly whom you’re trying to reach. The best strategy is to always keep your customers informed while maintaining a clear and consistent message in all your efforts. Use a multi-channel strategy to get the word out, such as text-message marketing, printed collateral, email updates, and social media. Just using one channel – such as printing flyers – will not do. Diversify your efforts, track returns, and adjust focus based on results. Pre-sales, pre-sales, pre-sales.. Every event or venue, regardless of size, benefits from the pre-sale of tickets and inventory. The best way to sell tickets in advance is to get everyone on board with a single platform. 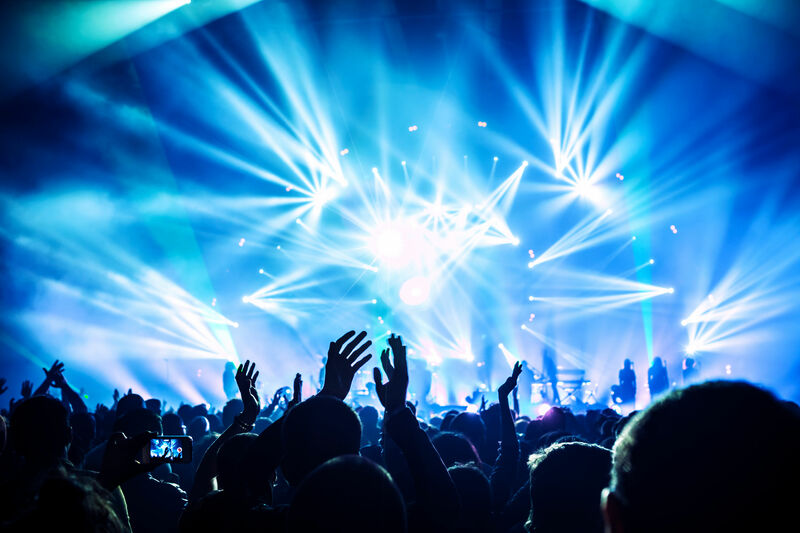 There are platforms available that allow you to create and manage an online event page, publish the page for consumers to purchase tickets, have the page integrate with a mobile app for promoters to sell directly from their devices, and track ticket sales and results along the way. This type of platform syncs all promoters and marketing efforts together to maximize ticket sales and revenue. The best way to keep track of reservations to mitigate double-booked table is through a central technology platform to which everyone has access. This means any of your employees or partners can log into the system with their personal username and password, add a guest reservation for a specific night, identify remaining tables for the night and select the most appropriate one. Tables that are already reserved won’t show up in the system, which means they’re never double-booked. Not only that, but the person who refers a guest for a reservation (ex: a promoters) is the person who makes the reservation. They don’t need to email anybody to make it happen or jot it down on a piece of paper to hand to the hostess. It’s all streamlined and centralized to maximize efficiency, accuracy, and customer satisfaction. Your event efforts must continue, and perhaps even spike, during the night of the event. Treat everyone like VIPs, from the bottle buyer to the general admission guest. Focus on service levels and make them feel appreciated no matter what. Your guests will not only continually come back, but they’ll also tell everyone they know about their experience. This sets you up for success for the long run. The only way to know whether your event was a success is to analyze the data. If you got on board with the aforementioned platform, your life will be significantly easier since it will all be in one spot – not to mention the data will be broken down by individual guests and staff members to truly identify areas of strength and weakness. Once you know how well you did, you’re able to better set yourself up for success for your next event. At the end of the day, revenue is a byproduct of the value of your party Make sure you first and foremost throw a good party, then be constantly aware of your guests, surprise them from time to time, and treat them with the service they deserve to keep them coming back. Running a bar or nightclub isn’t easy. There are a lot of areas that need to work together to ensure your success. Yet, our industry still operates in silos, using different systems for different sections – oftentimes leading to missed data and opportunities. Meanwhile, online industries like Amazon have gotten so savvy they’re able to send recommendations based on past habits and send reminders based on timing. As a result, this is the level of service your guests have come to expect. That’s why in today’s digitally-driven environment, it’s no longer sufficient to make assumptions on how your venue is performing and who your guests are. It’s also no longer sufficient to just focus on the data from one area of your business. This may have worked in years past, but it’s an outdated practice that cold cost you your venue. So while we understand there are many things you need to run your venue, the following three are the core of what you need to be successful in 2019 and beyond. You already ID and verify each person that walks through your door. Take this a step further with license scanning technology that not only scans and verifies each person, but also collects data on each person to build your guest database. This is the best way to know exactly who came into your venue each and every night, complete with your gender breakdown, where your customers are coming from, your age breakdown, and which customers are repeat vs first-time customers. You also have access to your digital 86 list as well as a city-wide ban list to keep your venue safe. This tool acts as your guide in better decision making for a process that was already mandatory. And with a solution like Vēmos, all of this is combined with your CRM system and analytics section to truly have that understanding of your whole business. Speaking of uncovering your true performance, having your point of sale integrated into your operations system is an extremely powerful move. Now, not only do you have the ability to track your VIP table spend automatically, but you also gain insight on your entire bar. “But I can already do that,” you say? Sort of. 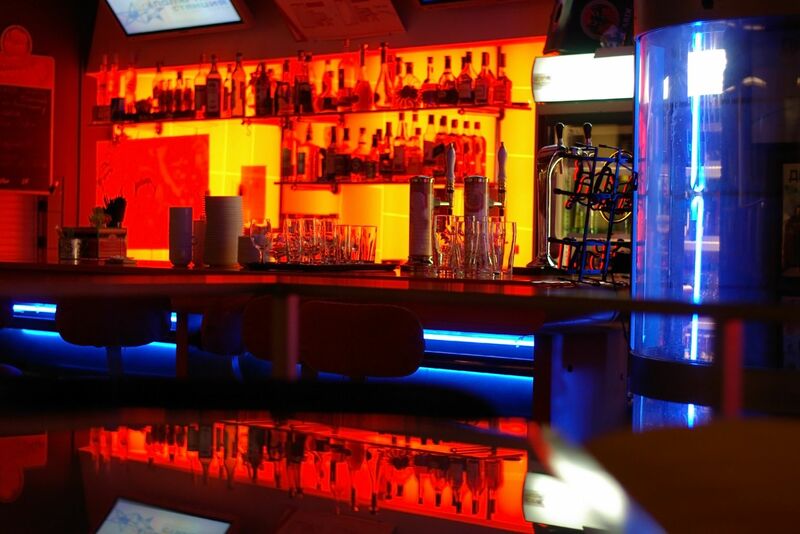 The reality is POS systems are not in the business of providing their customers with great analytics; they focus on providing a great user experience for your bartenders during the night. Integrating your POS system takes that data and provides you with true analytics that allow you to better understand how your entire venue did rather just a segment. It can also tie to your CRM system to give insight on personalized spending. Now, you’re able to know who contributed to your $15,000 bar sales — was it one person who spent $15k? Did everyone who walked in make a purchase? This information matter so you’re able to replicate that night with a similar set of guests. All of this comes back to individualized data. After all, the new name of the game is experience, and personalized experience at that. You can’t provide your guests with personalized experiences if you don’t know who they are. Sure, you may know your top regulars who always come in. And while they’re important, the other hundreds of guests are equally as important to your business. The only way to capture this information is to have all your data tied back to your CRM system. This is what allows you to know each of your customers on a personal level — from how often hey come, to how much they spend, to their specific preferences. You can then use this data to filter your guests into like-minded groups to send targeted messages specifically to them. Now you’re able to provide a complete circle of personalized service both online and in-person. These three tools are the core of what accelerates your capabilities. Having technology a part of your venue is no longer just about a reservation management system. It’s about a comprehensive appraoch that provides insight into your venue as a whole. With a combination of ID Scanning, POS integration, and a CRM system at your core, you now have the capabilities of providing that personalized service previously only available to the likes of Amazon. Safeguard your venue, target sharper, spend smarter, and create an unbelievable experience for every person walking through your door. Serving a Minor: Who’s at Risk and What’s at Stake? Serving a minor is a costly mistake — one that can shut down your business entirely. After spending months of time and thousands of dollars to obtain your liquor license, why risk it all at the hands of busy stressed staff? Without the right tools and processes in place, this is exactly what you’re doing every night, even with the best of intentions. It is illegal to knowingly serve alcohol to a minor, and anyone who does can be held responsible for any injuries or damages that result from the minor’s impaired state. But it’s not always black and white in pinpointing the exact person who is responsible. There are several factors that go into determining the exact person, which is oftentimes the reason why separate penalties are given to the person who holds the liquor license (the owner of a bar) and the person who makes the sale (the bartender who serves a minor). Depending on the severity of the situation and state laws, the penalties can range from a fine, to jail time, to a temporary suspension of the liquor license, to the liquor license being completely revoked. What if someone else checked the ID? The seller is the one liable for serving the minor. 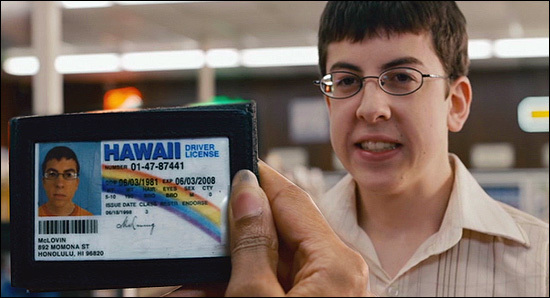 As a bartender or server, you are responsible for checking the ID of your customers even if another person has previously checked it. 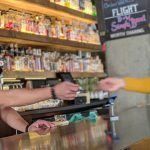 That’s why it’s particularly important for a validating process to be instilled within venues that have a person checking IDs prior to going to the bar. What if a minor uses a fake? When a minor is served, you need to show that you did the steps to the best of your ability to not purposefully serve that person. That means in most cases, you’re only liable for selling to a minor if you didn’t ask for identification or if you looked but didn’t use your best abilities to detect the minor. If the guest presents a realistic ID that says he or she is of drinking age, no charges will be filed against the establishment. However, if it’s obvious that the ID is fake or if that ID clearly does not belong to the person presenting it, then the establishment and the person who served that minor becomes liable. What if it’s a planned sting? When authorities are checking to make sure you’re compliant, they legally cannot do so by using a fake ID or purposefully deceiving you. They’re typically checking to make sure you’re properly asking for identification. Most sting fails are a result of not asking for identification, or asking for identification but incorrectly calculating someone’s age based on their date of birth. When these human errors happen, you’ll fail the sting and both the server and the establishment will be presented with the ramifications. How to mitigate the risks? Between human errors, miscommunication, inattention to detail, and simply not checking an ID, there’s a myriad of factors that can put you at risk for being liable in serving a minor. The first place to start is having a policy in place that requires your staff to check IDs of anyone who enters your venue. The second step is to go further by equipping your staff with an ID scanning system. Having an ID scanning system essentially acts as an insurance policy that guarantees you’ll be covered when a minor is accidentally served. The system will reduce the chances of honest human errors, such as incorrectly calculating someone’s age based on the date of birth. It’ll confirm all IDs are reviewed in the case of planned stings. It’ll act as your paper trail to prove you didn’t purposefully serve a guest who presented a realistic fake ID. And it can act as your digital 86 list or even your digital loyalty program. It’s one of the most cost effective and worthwhile investments you can make to protect yourself from losing the license you worked so hard to obtain while growing the business you worked tirelessly to build. 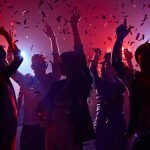 Bar Crowd vs. VIP Crowd: Which is Better? I was recently in an online discussion with industry leaders about which business model is best for nightclubs: bottle service or bar service. It seems there’s not one simple answer to this question, and everyone has a different viewpoint. However, most resonated with the idea that it doesn’t have to be one over the other; that they’re both critical to the success of a venue. I believe treating the two as exclusive parts of your venue hurts you more than it helps. Both bottle service and bar service are important aspects of your club’s performance. The bar crowd controls the atmosphere and ambiance of the venue, which attracts the bottle patrons who bring in the revenue. Having a strategy to blend the two together is what makes the biggest impact as a whole. The most successful clubs are those that integrate both areas with a similar level of priority, and treat all customers – whether bar or bottle service customers – on a personal level. Not only do guests prefer to go to these venues, but they’re the ones that are advancing their business most rapidly. When everyone in your venue (including your bottle service staff, your security, and your bartenders) is focused on a level of personalized service based on that guest’s past habits, that’s when you truly win. That’s when you start building loyalty, organic word of mouth growth, a higher spend per person, and your next wave of bottle service customers all in one. While it’s true your big spenders at the VIP tables deserve the ultimate personal service, your bar crowd deserves some personal touches, too. And in the age of big data, people are used to being treated as an individual by brands more than ever before. So how could this work? With the combination of an ID scanning system that’s tied to your POS system, you get insight on every guest that walks through your door. You’ve likely had this level of insight on your bottle service guests already with your reservation management system. Now it’s possible to tie it back to the general bar crowd. Every guest needs to have their ID to drink, so it’s an easy thing for you to leverage. You scan their ID and notice it’s their 10th time coming in a month. Use that information to personally greet them and cover their first drink. If your ID scanner is tied to your POS, you also get insight on spending habits. Notice they spend a lot each time they come? Offer them a VIP table instead. It’s the small details that make a person feel like you notice them, and that’s what makes the biggest difference. This is true regardless if they’re a bar customer or a VIP, it’s just that historically there hasn’t been enough information on the bar customer to provide them with that level of service. So even though it’s natural to want to pour your energy and resources into your VIP section, don’t forget about your bar crowd. They’re an important aspect of the entire atmosphere of your venue and, with the right tools, can be persuaded to spend even more.